Description Photo courtesy of John Jaeger. John is the first student on the left, middle row, beside the teacher in the plaid shirt. Sign held by girl reads: "Lake Grove School No. 146 May. 9. 50." 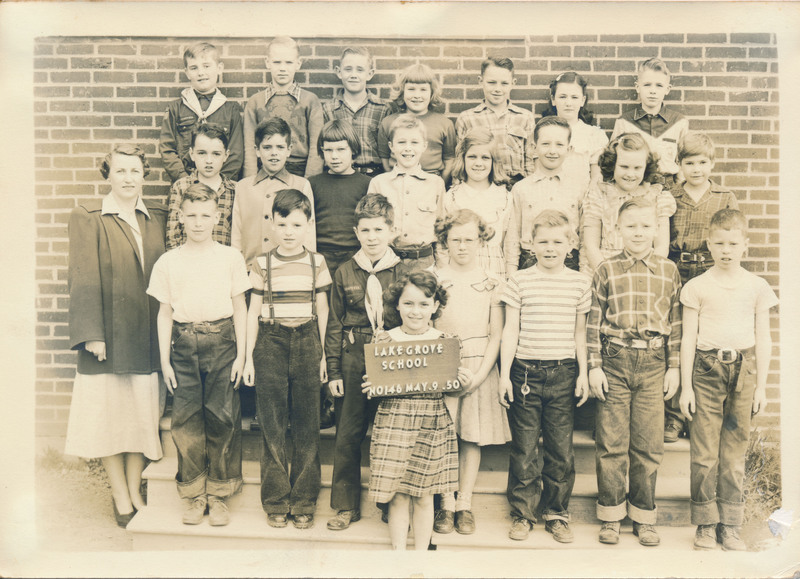 From other photos in the collection it is presumed this is a 3rd grade class.